A new political current was launched Wednesday, aiming to bring together 25 January and 30 June advocates. The country has become increasingly polarised following the ouster of Islamist president Mohammed Morsi by the military after four days of mass protests calling for his removal. Oppositional groups, previously unified in their goal to oust Morsi from power, have experienced divisions since his removal. Factions have taken differing positions regarding the roadmap set forth by Egypt's interim authorities with support from the armed forces, and whether 25 January and 30 June should be considered equally as popular revolts. 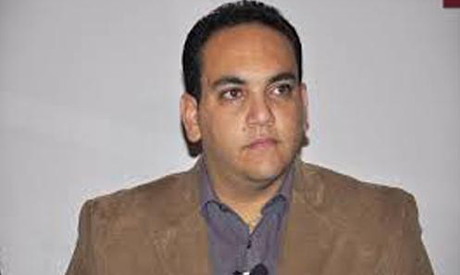 In a press conference to launch the new movement, one of its leaders, Shady El-Ghazali Harb, a founding member of the 25 January Revolutionary Youth Coalition, said the interim authorities should listen to the peoples' demands and stop the strategy of "shaken hands" (back room deals). Harb, who is also a leading member of the liberally oriented Al-Doustor Party, founded by Mohamed El-Baradie, said the third anniversary of 25 January should be an occasion to hold the government accountable for its actions. "Tahrir Square will be the place in which we measure the government's adherence to, and respect for, the goals and demands of the revolution," he said. The iconic square in downtown Cairo, the birthplace of the January 25 Revolution, has been closed by the military in recent weeks to prevent Islamist groups from staging sit-ins. A draft protest law, prohibiting any demonstrations without prior approval from security forces, has caused many oppositional groups to question how Egypt's interim authorities will respond to further mass protests in the capital. The new 'National Partnership Current' has suggested a list of demands, including rejecting the draft protest law and progressing the transitional justice law. The group has also called for reform of the police force and the implementation of laws that guarantee the Interior Ministry will fully respect the rights of citizens. It is not the first movement to attempt to find common ground between oppositional forces. Another anti-Brotherhood, anti-military front, The Way of the Revolution Front, was launched in September, aiming to provide an alternative to the polarisation between the military and Muslim Brotherhood. The 'Way of the Revolution Front' includes members of leading movements such as April 6, the April 6 Democratic Front, the Strong Egypt Party, the Revolutionary Socialists and Freedom and Justice Youth. Why is everyone keeps invoking the Brotherhood. They have been banned. It is true that they would win any election, but they are banned. What is the alternative? Well, Sisi, the junta leader will be the king..until he gets assasinated like Sadat. And the Ikhwan will reappear...when the people of Egypt will be more civilized.